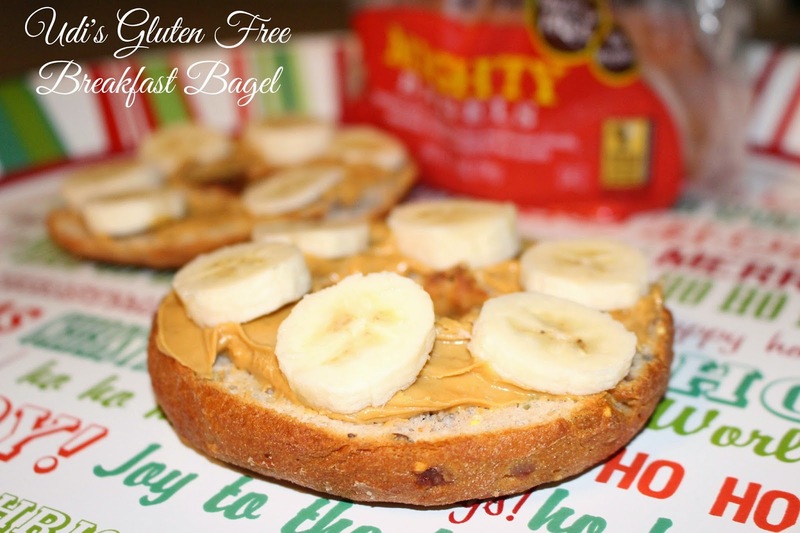 Ti's the season to be Merry & what better way to do that than enjoy delicious foods with your loved ones, even Gluten Free foods can be enjoyed year round! 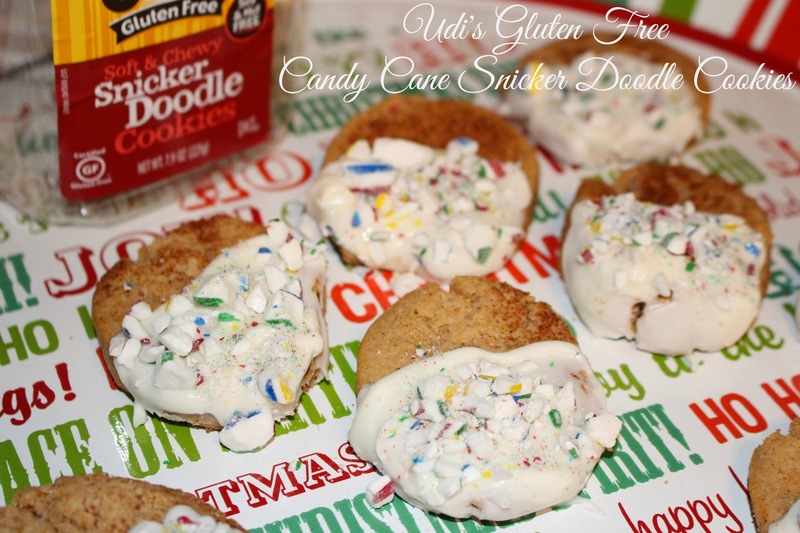 I was sent a variety of Udi's Gluten Free foods & I couldn't wait to get into the kitchen & whip up some sweet treats & easy holiday bites for everyone to enjoy! From rolls, cookies, granola & more, Udi's has a huge selection of foods that are all Gluten Free! Udi's is the #1 Gluten Free brand in America, since 1994 Udi's has been in the works & continues to grow & expand across the US! Most of your local stores carry Udi products, like Krogers, Wal-Mart, even our local pizza place, Papa Murphy's offers gluten free options! 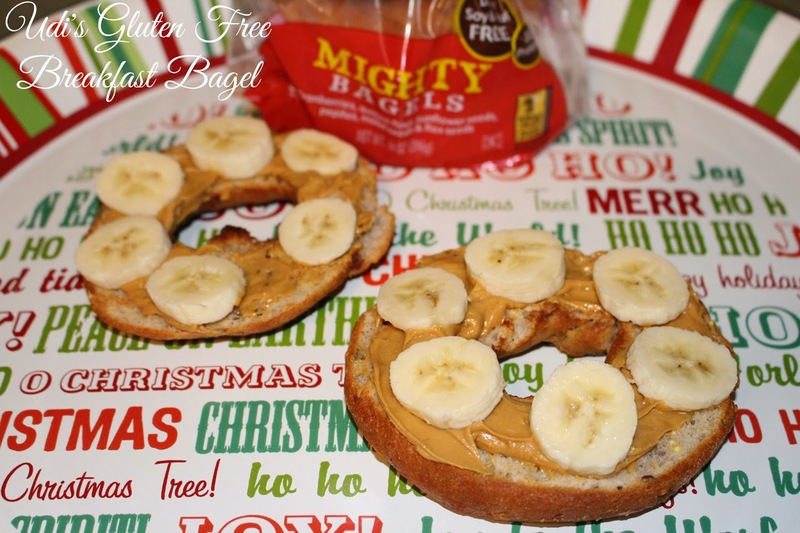 So in the spirit of the holiday, I created three simple step snacks that are great for children & adults to enjoy, my children had no problem chowing down on the holiday treats & can't wait for me to make more! In a small bowl, using the microwave (or stove if you prefer) melt two to three candy coating squares, about 30 seconds at a time, take the bowl out, stir, about another 30 seconds, stir a few times. Using a small food chopper or your blender, crush/chop up about 3 or 4 candy canes, set them aside. Dip each cookie about half way on. Place the cookie on a tray, then before the coating cools, take your crushed candy cane & drizzle over white candy coating before it hardens. Let it cool & enjoy! 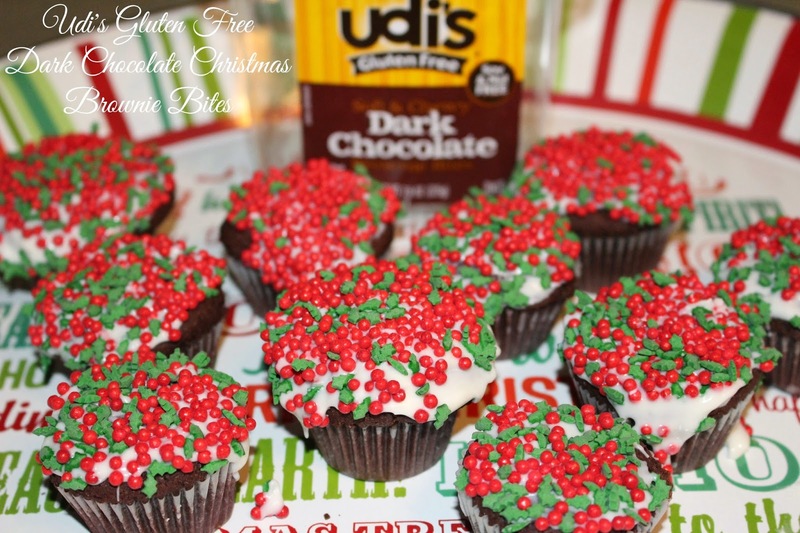 Celebrate the Holidays with Udi's! 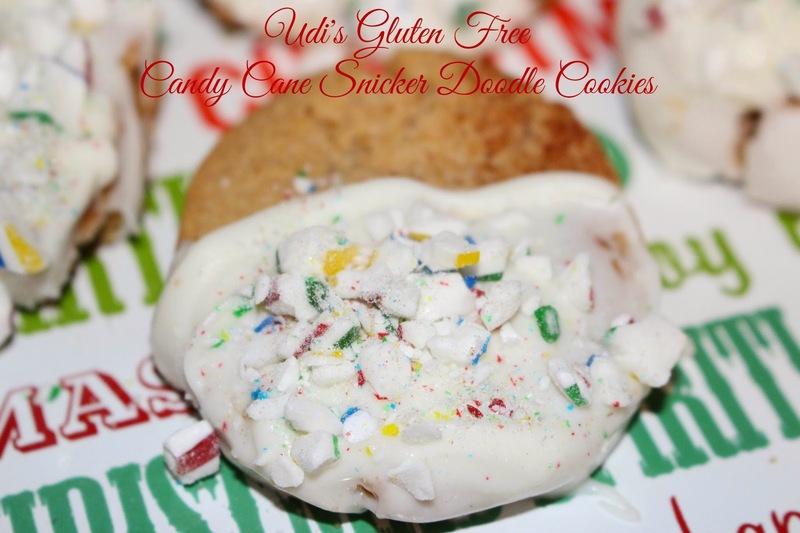 Make 'Eat, Drink, Be Merry' your 2014 holiday motto and let Udi's Gluten Free take your winter festivities to the next level! 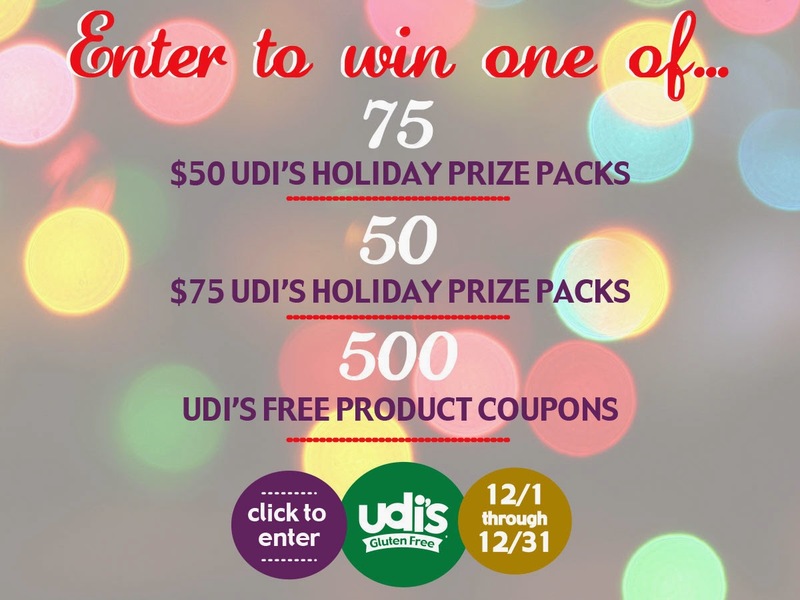 Head on over HERE & tell Udi's your favorite seasonal treats, drinks, and ways to celebrate the holidays for the chance to win some great Udi's prizes. 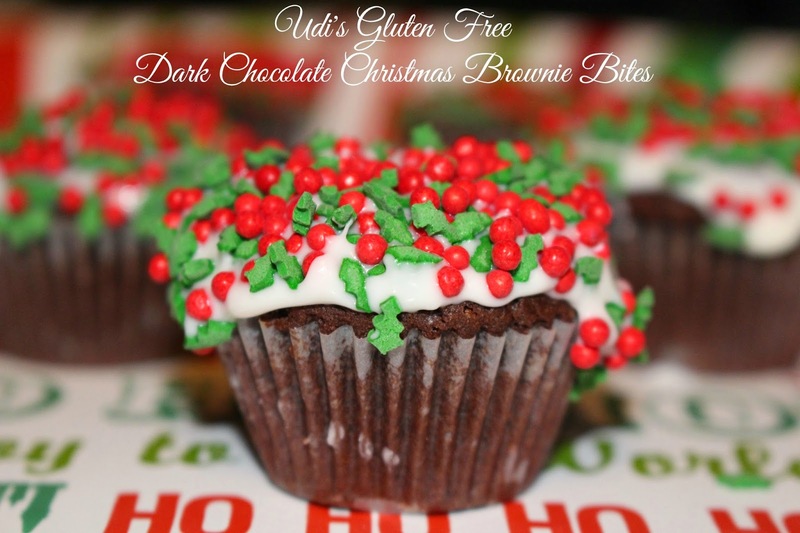 I love the Udi's brand, the Chewy Dark Chocolate Brownie Bites look like a great treat to make for the holidays, especially with the red and green sprinkles.